Do you ever walk around the West Village and think of your perfect home with a garden? Located at 275 West 10th St Garden A. is listed just under $7 million ($6.95 million to be exact), offers buyers a rare 3 bed / 3.5 bath, The Shephard, developed by Naftali Group, is a boutique full service building with fantastic amenities. With a downstairs designed for living and entertaining and full enjoyment of your private garden and an upstairs with bedrooms overlooking the building's beautifully landscaped private garden, the 2,681 sq. ft. apartment feels serene and calm, with green outside almost every window and door. On the entertaining level, the kitchen and living room both open onto the sweet private garden while a separate dining is tucked in the most perfect way by the pretty staircase. Upstairs, the master bedroom is situated for privacy and enjoys large closets and a luxurious master bath. There are two more bedrooms, each with their own bathroom plus a large laundry room with sink. 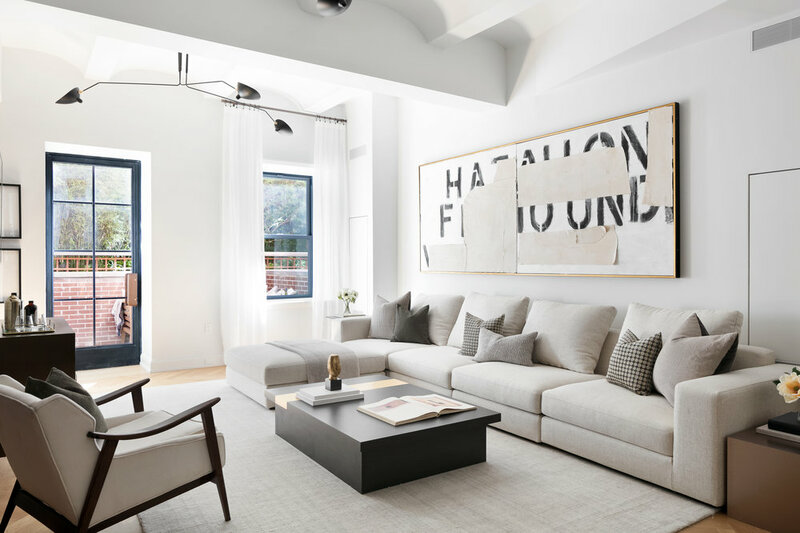 Located on a quiet, tree-lined street in the very best part of the West Village, The Shephard has been thoughtfully redesigned, reengineered, and totally renovated to become one of the finest and most special residential buildings in Manhattan. Comprised of 38 unique apartments, the interior design by Gachot is elegant and rich, using only the most beautiful materials to accentuate the building’s distinguished character. A new lobby and lovely garden have been created by incorporating a neighboring carriage house into the building’s plan. Amenities include a basketball court, a gym with Pilates equipment, a golf simulator, steam rooms, an arcade and ping pong club room, and a paneled library that opens to the building’s landscaped garden, the building retains an intimate, boutique feel while still providing residents with fantastic spaces to relax and play. The complete offering terms are in an offering plan available from the sponsor file number CD14-0241.